The Terminator franchise started out with two classic films directed by James Cameron, or the man who doesn't make bad movies. It then went on to different directors who produced a mediocre third entry and a really terrible fourth. This falls even further down the mountain of awfulness. 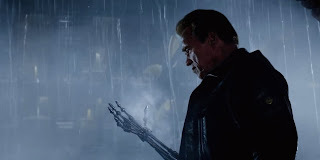 Terminator Genisys continues the trend to make every Terminator worse than the last (except for T2, my personal favorite). The story involves much of what Terminator fans already know. John Connor (Jason Clarke) sends Kyle Reese (Jai Courtney) back in time to prevent Skynet and its Terminator (Arnold Schwarzenegger) from killing his mother Sarah Connor (Emilia Clarke). Once he arrives back in 1984 things aren't as straightforward as he expected. Terminator Genisys completely ruins the franchise. Now I don't mean there won't be another Terminator film down the line, but what this film does takes away from the previous movies. The events that take place make the events of those first two films completely irrelevant. This, of course, is a gripe coming from a fan perspective. The first two will always remain classics but this movie really screws up their timelines. The real issues this film has go beyond what it did for the franchise. Story-wise, Genisys has interesting ideas that it just couldn't follow through with. Part of the blame falls on Alan Taylor, who worked on several episodes of Game of Thrones, and that he just doesn't seem like he is cut out for the film making business. Part of it falls on the script as well. It becomes rather confusing through the switching of timelines and what the real future/past is now. As if time travel wasn't confusing enough, Terminator Genisys made it even worse. Besides that there isn't a whole lot of substance to the story, just run from the Terminator! Speaking of a Terminator, by far and away the best part of the movie was seeing Arnold back as the T-800 we all know and love. He seems to be the only one who put anything into it as the rest of the actor's performances seemed to oversell their roles and you can tell that they're acting. 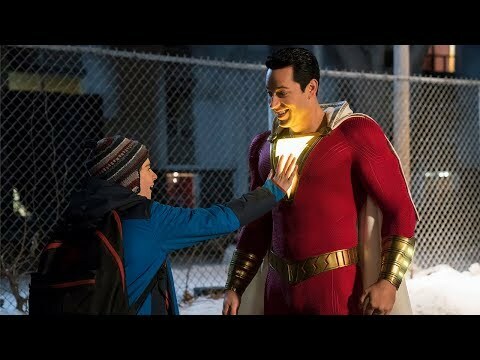 Now there is a huge twist in the film that is given away by the trailers which is extremely disappointing. I will say it would've been a interesting twist had it actually been a surprise but I found myself waiting for the reveal to happen rather than just enjoying the film. So if you can avoid it, don't watch trailer #2 and beyond!